Your ventilation installation will depend on a number of different factors. The space available, your aims and the industry you work in will all be considered before we begin to design the perfect ventilation install for your organisation. Our ventilation install capabilities are unrivaled and include fresh air supply units for offices in larger tower buildings as well as Lossnay units for small offices, many of which are able to recover waste energy whilst also delivering fresh air ventilation. KES Facilities will work to your exact requirements and install a ventilation system with minimal or no disruption to your business. 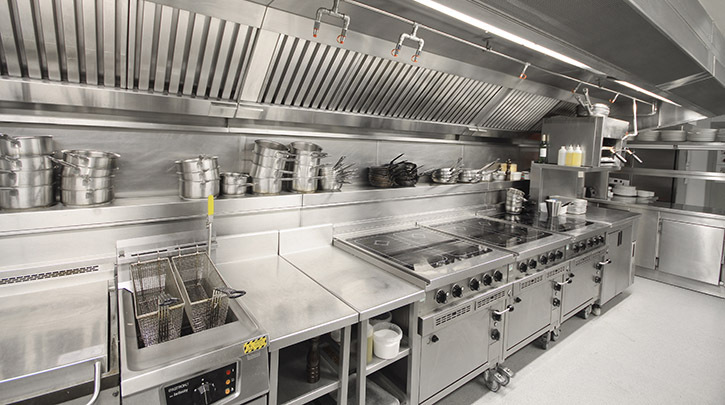 Having designed and installed kitchen ventilation and extraction setups, fume extraction for paint spraying booths and even working with leading biochemical plants, we really do have the capability to efficiently install a system which will not just keep your organisation compliant, but improve its efficiency also. Like all of our equipment installations, we fully consider your requirements and working environment to create an end product which makes the best use of the space you have available and allows your business to operate at the optimal level. Our skilled technicians have completed numerous extraction installations over the course of our 50 year history. This experience has made it possible for our team to complete your install both quickly and to the highest possible standard. This ensures there is minimal disruption to your business and you can begin to enjoy the benefits of your brand new extraction setup immediately. Many of our clients combine a ventilation and extraction installation for efficiency, minimum disruption and maximum effect.